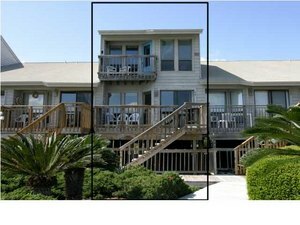 What is selling in Three Hundred Ocean Mile on St. George Island? The plat map of St. George Island is largely one of "single family residence" entries, with a small commercial district in the middle of the island and a big state park on the eastern tip of the island. In between, we're largely a well-established collection of 1/3rd to 1 acre lots, each zoned for a single residence. We don't have highrises, or high density anything. 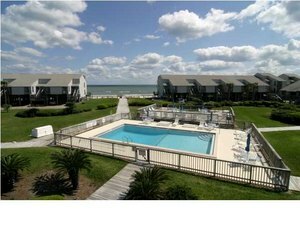 But, on the eastern end of the island, we do have a nice collection of 99 townhomes clustered around 2 pools, with gulf views from every unit - called Three Hundred Ocean Mile or 300 OM for those of us who are St. George real estate geeks. We never have many of these units for sale at one time - people tend to hang on to them for a long time - some are even still in the hands of the original buyers from when they were built and offered for sale in the mid-80's. The complex has been nicely maintained, and most of the owners have renovated their units, with many upgrades to tile or wood floors, granite countertops, etc. 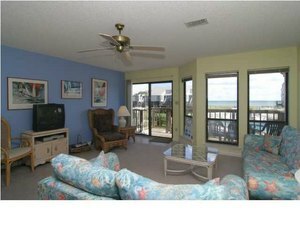 There are 1, 2, and a few 3 bedroom units, and owners tend to keep them for personal use as second homes, or put them on the vacation rental market - they are popular rentals. In 2009, 5 units in 300 OM have sold, and I'm pleased to report that our team has been involved in 4 of the 5 transactions - representing either the buyer, the seller, or both. Three of the units were 2 bedroom, and the sales prices were from $248,200 to $293,000 while the two 3 bedroom units sold for $310,000 and $320,000. Currently, there are 7 units for sale in this complex, 1-, 2-, and 3- bedroom units. The part of this picture that needs filling in the most are beachfront units for sale, and we're on the look-out, as we have several buyers interested in buying a beachfront unit at 300 OM. None have sold so far this year, and only one is on the active market now. If by chance you own one of the 30 beachfront units and are interested in selling, please do contact me! And, if you are in the market to buy in 300 OM, and would like to be on our watchlist to get automatic notices of any new listings, price reductions, or sales, let me know. Thanks!